The Atal Pension Scheme will bring security to ageing Indians while at the same time promote a culture of savings and investment among the lower and lower-middle-class sections of society. One of the greatest benefits of the scheme may be enjoyed by the poorer sections of society. The government of India decided to contribute 50% of the user’s contribution or INR 1,000 a year (whichever is lower) for a period of five years. This contribution, however, was enjoyed only by those who were not income taxpayers and those who joined the scheme before 31 December 2015. Also, as per the circular released by the Income Tax department, contributions to the Atal Pension Yojana (APY) are now eligible for the same tax benefits as the National Pension System (NPS). The tax benefits include an additional deduction of up to Rs 50,000 under section 80CCD(1) of the Income Tax Act. One gets a guaranteed monthly pension ranging from Rs. 1000-5000. In case of the death of the subscriber, the pension goes to his/her spouse. In case both dies, then the entire corpus is given to the nominees. The subscribers to the scheme are even allowed to have a premature exit but only in exceptional circumstances, like in the case of terminal disease or death. Who is Eligible for Atal Pension Yojana? The Atal Pension Yojana (APY) is open to all Indians between the age of 18 and 40. This allows an individual to contribute for at least 20 years before reaping the benefits of the scheme. Any bank account holder who is not a member of any statutory social security scheme can avail of the scheme. All existing members of the government’s ‘Swavalamban Yojana NPS Lite’ will automatically be migrated to the Atal Pension Yojana. It will now replace the Swavalamban scheme, which did not gain much popularity across the country. 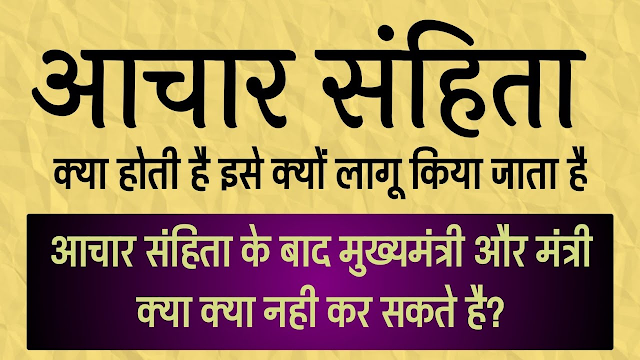 How to Enroll for Atal Pension Scheme? The Atal Pension Scheme and the other insurance schemes were launched on 9 May 2015 simultaneously by Union and Chief Ministers. Prime Minister Narendra Modi launched the scheme from Kolkata. The government will extend the benefit of the APY via Post Offices all over the country so as to bring more people under its ambit. The implementation of the scheme through post offices is expected to be more helpful for the people in rural areas. In March 2016, the government amended the scheme’s provisions to give the subscriber’s spouse an option to continue contributing to the account for the balance period on the premature death of the subscriber. The Government released Rs 100 crore towards its co-contribution for Atal Pension Yojana (APY) in 2015-16 fiscal. Also, as per the circular released by the Income Tax department, contributions to the Atal Pension Yojana (APY) are now eligible for the same tax benefits as the National Pension System (NPS). The tax benefits include an additional deduction of Rs 50,000 under section 80CCD(1) introduced in the year 2015 Budget. 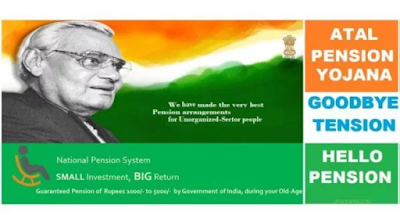 To increase the outreach of Atal Pension Yojana (APY) among the prospective subscribers in the country, The Pension Fund Regulatory and Development Authority of India (PFRDA), on August 19, 2016, has integrated the APY module with the bank’s core banking system, allowing enrollments to happen through people’s saving accounts. It will not only make the process convenient but a whole lot faster and hassle-free. The customers would not be required to submit physical forms to the bank from now on, and a web-based APY subscriber registration mode has been allowed for customers with net-banking accounts. As new 27 lakh subscribers join the Atal Pension Yojana in the FY 2018-19, the total number of subscribers to the scheme has crossed the mark of 1.24 crore. In the scheme enrolment, the top contributors are people from the states of Karnataka, Maharashtra, Andhra Pradesh, Bihar, and Uttar Pradesh. As of 27 October 2018, the APY subscribers from Karnataka are 9.15 lakh, from Andhra Pradesh are 11.28 lakh, from Maharashtra are 10 lakh, from Bihar are 11.16 lakh, and from Uttar Pradesh are 17.90 lakh.